More Christians than ever before are studying and working in music, painting, sculpture, theater, television, film, architecture and more. Are you one of them? 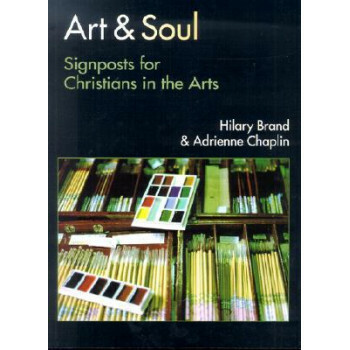 If so, you, like artists in every discipline, face the challenge of working in a way that is both wholly Christian and wholly contemporary, Hilary Brand and Adrienne Chaplin have written this practical and inspirational guide for you. In Art & Soul you'll find encouragement for developing a Christian worldview from which you can approach your craft. Here the best teaching on Christianity and the arts during the past fifty years is digested and reapplied, supported by a wealth of quotes from artists, critics and Christian thinkers. A wide range of illustrations, both historical and contemporary, illuminates the text as Brand and Chaplin explore the conflicting influences on Christians entering or working in the arts. They correlate the major biblical themes of creation, fall and redemption to the business of making art. And they examine the nature and purpose of the arts--along with the way you experience and interpret them. Finally, you'll find helpful guidelines on practicing and developing your art. Here is the book to help you meet the challenges facing you today--both from the world of art and from the world of the church.